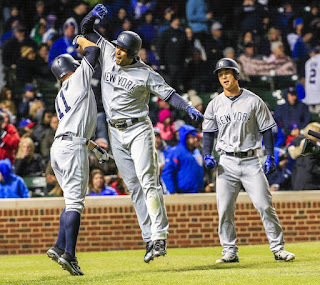 While the Cubs did have their chances, Saturday’s game felt like it was over after the Yankees took their first swings in the top of the first inning en route to the 11-6 victory. 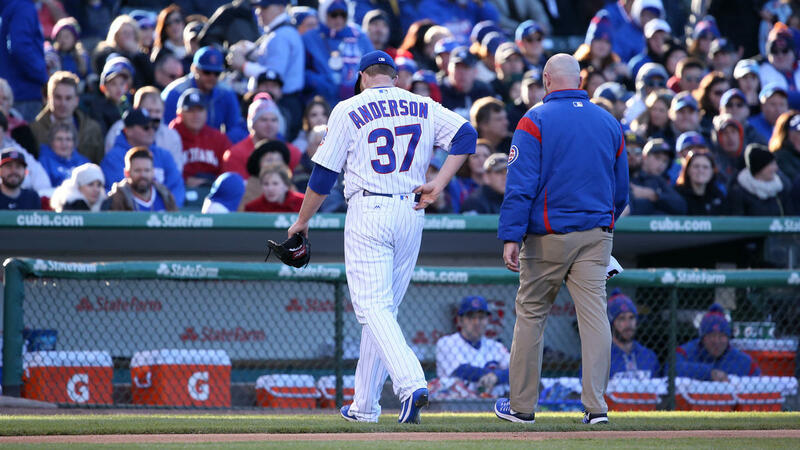 Admittedly, I felt badly for Cubs starter Brett Anderson. He gave up three doubles, two singles and a bunt with a throwing error that led to multiple runs. When Anderson departed after 23 pitches, he had gotten only one out…a swinging strikeout by Aaron Judge. 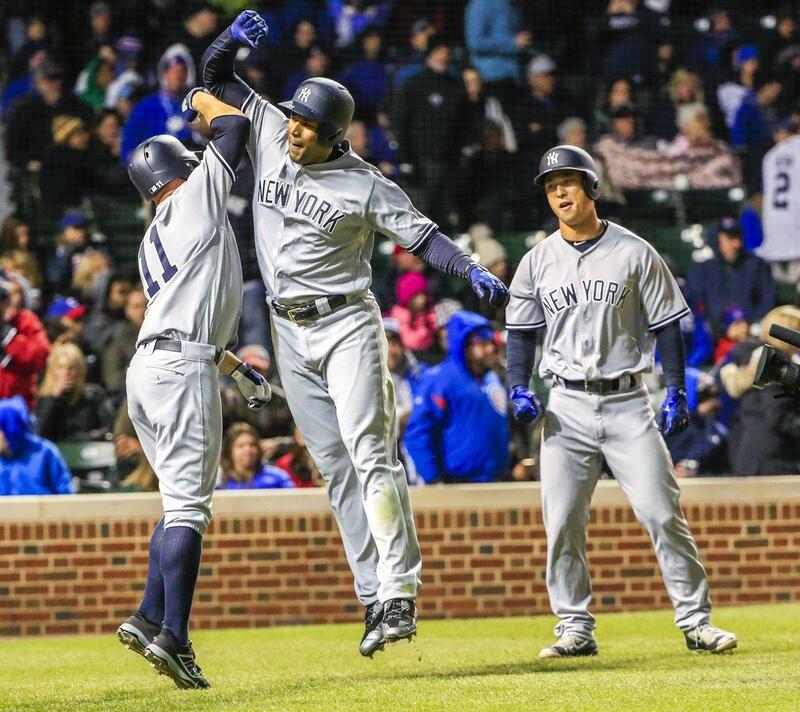 The Yankees held a 5-0 advantage, and we were off the races. Anderson was once a promising young starter for the Oakland A’s. 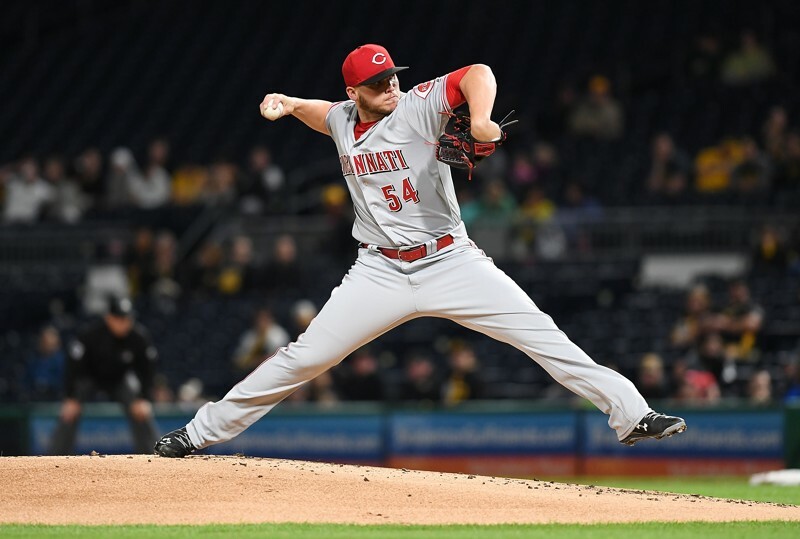 He’s pitched very well when healthy, but unfortunately health has not been his friend. He made 31 starts for the Los Angeles Dodgers in 2015 and then missed most of last year after surgery for a bulging disk in his back. 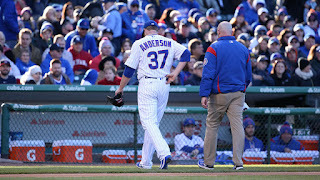 After yesterday’s start, Anderson was showing signs of back trouble so yet another DL-stint is likely. After the game, Anderson said that it was “embarrassing”. He went on to say “Whenever the backup catcher gets more outs than you, it’s not a positive”. Cubs catcher Miguel Montero pitched a scoreless ninth inning for the Cubs although he did walk two. Hopefully Anderson is able to recover from his latest setback. Jordan Montgomery (2-1) was solid again for the Yankees as he continues to cement his role in the starting rotation. He made it into the seventh inning until running into some trouble after throwing 100 pitches. He allowed 3 hits, 3 runs (2 earned), and struck out 3. He did walk 4 batters. After two groundouts in the top of the 7th, it looked like it was going to be another quiet inning for Monty. But he walked Jon Jay and it was followed by a run-scoring triple by former Tampa Bay Rays nemesis Ben Zobrist which ended Montgomery’s day. 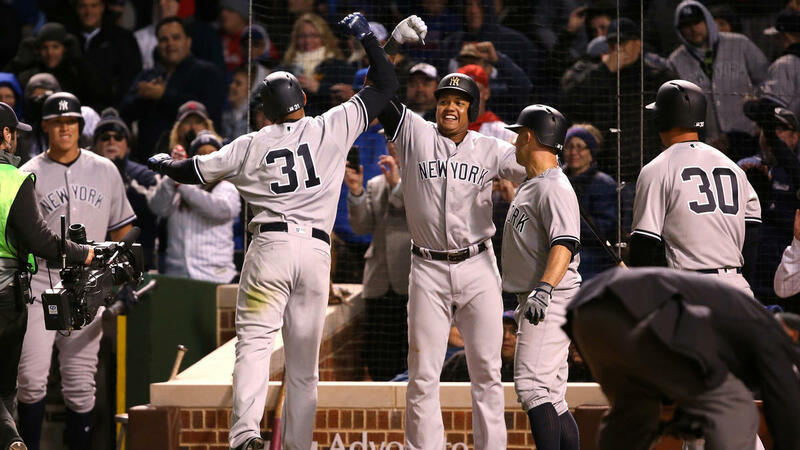 Aaron Hicks, subbing for Jacoby Ellsbury who is still nursing a sore elbow, delivered the clinching shot, a three-run homer in the eighth inning, that put the Yanks up 11-3. 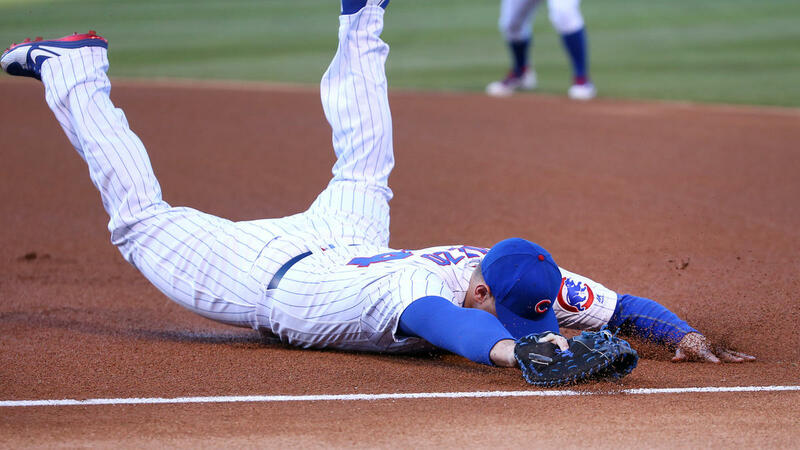 The Cubbies tried to mount a rally in the bottom of the 8th against reliever Tommy Layne, scoring three runs. Adam Warren came in with a runner at first (Miguel Montero) and two outs. He allowed a double to Jon Jay which advanced Montero to third. Ben Zobrist came to bat with a chance to chip away at the 11-6 Yanks lead but Warren struck him out swinging. Another nice job by the 2016 World Series ring holder. Hicks finished the day 4-for-5 with 3 RBI’s and 3 runs scored. He continues to impress and is making it hard for Manager Joe Girardi to keep him on the bench. I read one columnist who suggested that Hicks should permanently replace center fielder Jacoby Ellsbury. I wouldn’t necessarily argue but are we really only four years into Ellsbury’s seven-year $153 contract? The end of the contract seems so friggin’ far away. Despite his recent heroics, Brett Gardner remains the more marketable outfielder and it seems that it would make more sense to move him to make room for Hicks…unless GM Brian Cashman would hoodwink some other GM into taking Ellsbury off his hands. Maybe ply former buddy Billy Eppler with some tequila when the Yankees visit Anaheim in mid-June. The other hitting star of the game was the former Chicago Cub Starlin Castro. You know that he enjoyed his fourth inning home run. He even paused for a moment to enjoy the view as the ball traveled to the left outfield bleachers. Increasing his batting average to .381, Castro went 3-for-4. He had 3 RBI’s and 2 runs scored. Starlin has been enjoying his time at Wrigley Field so I am sure these games will be memorable to him for a very long time. The Yankees maintained their half-game lead over the Baltimore Orioles in the AL East. The O’s held off a late challenge by the Chicago White Sox to win 6-5. Sadly the Boston Red Sox also won. I’ve said it before but Tommy Layne is just not doing it for me this year. His appearance always seems to be accompanied by multiple runs for the opponent. His ERA is now an unsightly 9.45 after giving up the 3 runs to the Cubs while only recording 2 outs. I will gladly take Chasen Shreve as my lefty specialist over Layne. I think we’re seeing why the Boston Red Sox gave up on Layne last year. I wonder if we’ll see Matt Holliday at first base today as the Yankees face an old foe in former Boston Red Sox ace Jon Lester. It should be a great game as the Yankees go for a sweep with Luis Severino on the mound. The Yankees completed their off-season trade that sent reliever Nick Goody to the Cleveland Indians. On Friday, they acquired 21 year-old pitcher Yoiber Marquina, a converted catcher, who underwent Tommy John surgery earlier this month. The Yankees see promise in Marquina’s lively arm, but meanwhile Goody is delivering the goods for the Indians. He has an 0.00 ERA in 7 appearances with 10 strikeouts. He has allowed only three hits in 9 1/3 innings of work. Sounds like the Indians are making up for lost ground with the talent they gave up in the Andrew Miller trade. I saw the debate that TGP’s Daniel Burch sparked yesterday when he suggested that the Yankees should trade backup catcher Austin Romine. My first question is why? Unless you can include Romine in a trade for a frontline pitcher, I do not see the motivation to make a deal. He has shown that he can be a very valuable backup catcher. It’s not that I dislike Kyle Higashioka, but Romine has earned his shot to be a member of the New York Yankees. If you tell me that the Yankees could acquire Gerrit Cole from the Pittsburgh Pirates (don’t we always send our catchers to the Steel City?) by including Romine with other prospects, I’m on board. Otherwise, I think Romine should stay. I am not trying to look ahead but the Yankees will, for the first time, face the ramifications of their December 2015 trade for closer Aroldis Chapman. The team will be traveling to Cincinnati after they complete the three game series against the Cubs later today. On Monday, they’ll face former top pitching prospect Rookie Davis who is scheduled to start opposite Masahiro Tanaka. Davis is the only player on the Reds MLB roster in the deal that sent Davis, third baseman Eric Jagielo, pitcher Caleb Cotham, and second baseman Tony Renda to Cincy. Have a great Sunday! Let’s hope the wind carries us to a sweep out of Chicago!